Why should you have a boring tap in the bathroom when there are fancy kitchen facets out there? 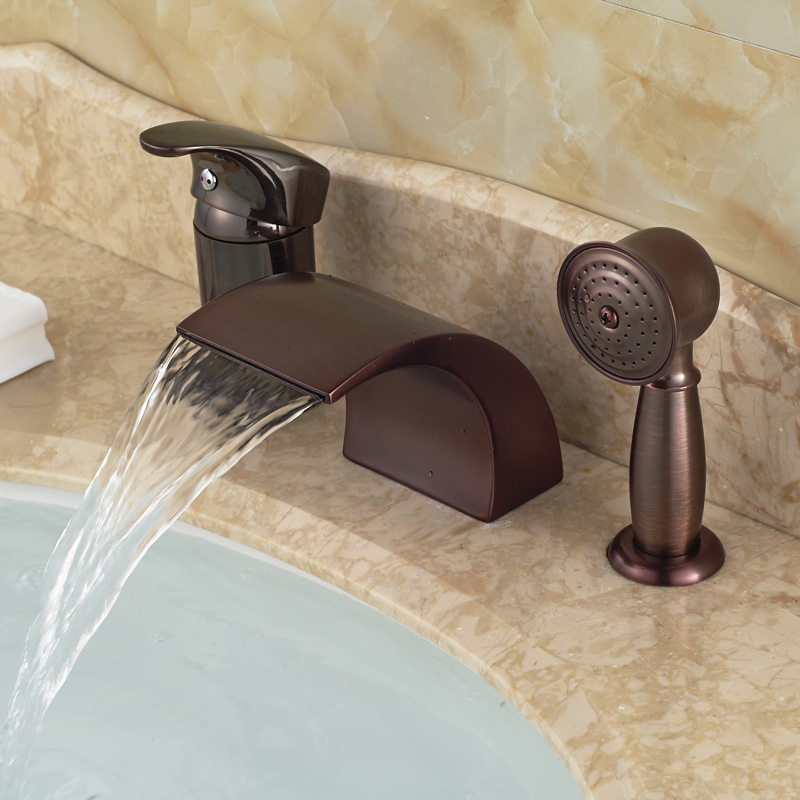 A common confusion reigns among people: can we use fancy kitchen faucets in the bathroom? Well, so far, no holy book or law is preventing you from doing that! Nevertheless, there are a few practical concerns that need attention. The first and foremost among them is compatibility! The kitchen faucets with their impressive spray hoses and swiveling spouts would make a pretty addition to your bathroom sink or bathtub. But first, you have to make sure the specs of the faucet matches those of the sink or the tub! When you’re implementing a kitchen faucet in the bathroom, you might at once want one with double handles, so you can alter between hot and cold water as you wish. But the sad news is, most kitchen faucets with a fixed spacing between the handles might not fit the bathroom sink. However, there’s a way around it. You can always choose a sink with a single hole and single handle faucet to fix the problem. This is not to say that a double-handle faucet will not work with a bathroom sink. It all depends on the spacing of the hole in the sink. The design, to start with, must fit the sink or tub or the surface it is being attached to. You cannot have the sprout hanging out of the sink, right? 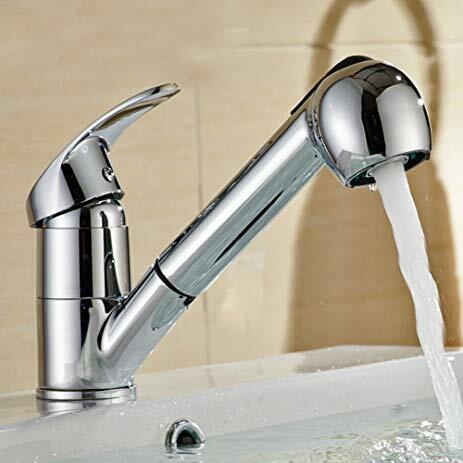 As for the type, single-handed faucets are ideal. Nevertheless, you can go for double-handed ones provided they come with flexing hoses that join the sprout to the handle. We all know there are amazingly diverse designs out there when it comes to the kitchen faucets. They are often so pretty, attached with an aesthetic sink, that they make shopping for home decors a pleasure in itself. The different designs come with different names, and if you want to use a kitchen faucet elsewhere, say in the bathroom or maybe in the garden, you better know their different names. Your sink or tub or garden outlet might be more suitable for some of the designs than the other. The wall-mounted ones can pretty much be used anywhere provided you can get the drainage right. It would be ideal to browse through the available designs and products so you can find the one that’s a perfect fit to your outlet. However, your question stands answered. 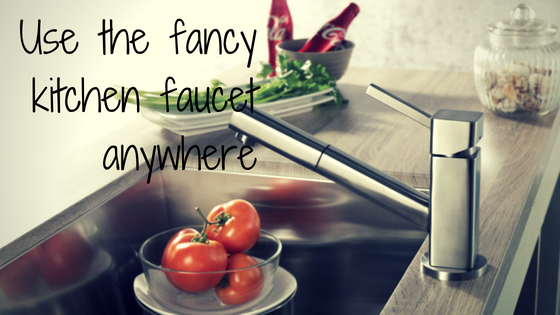 The latest kitchen faucets can be used anywhere – bathrooms, bathtubs, garden – anywhere you please! All you have to do is find out the right model with right specs!